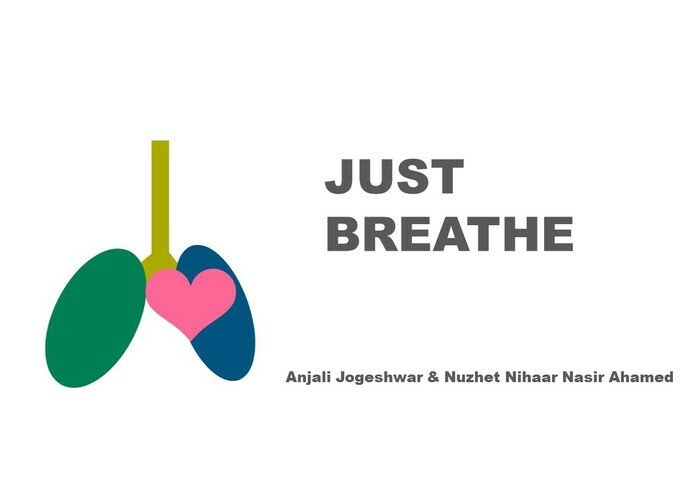 Just breathe and continue to live healthy! Growing concern of self-diagnosis for serious respiratory related difficulties. Senses the temperature of your breath and co-relates the sensor response to probable dental and pulmonary issues in your body. 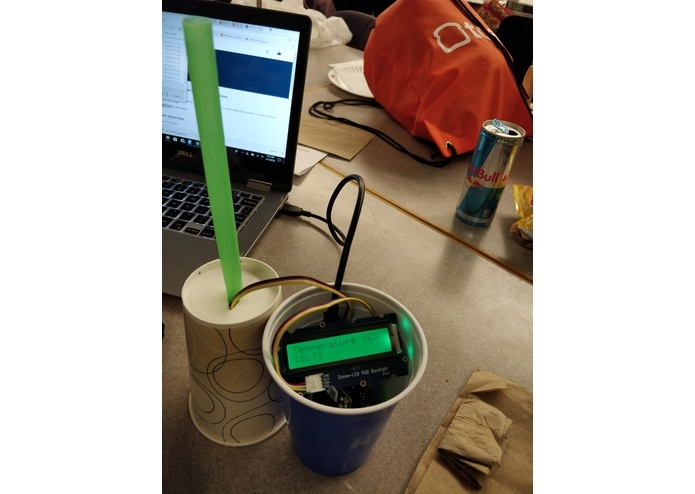 Vibration sensor didn't have a wide range of data to display. Light sensor is too sensitive in nature. Touch sensor is binary in nature and hence, we had only the temperature sensor to use. It works. Does correct math. Displays results up to 2 decimal precision. And it was made within 1 day. We learnt a lot about oral health and various diagnosis that can be performed on human breath. Use chemicals and accurately detect the extent of oral and pulmonary disease. Tried and tested various sensor connections.